Crystal Illuminated Address Plaque - - the personalized illuminated and engraved address plaque with numbers that sparkle and shine. Plugs into a 110-volt wall socket. Wall mount. 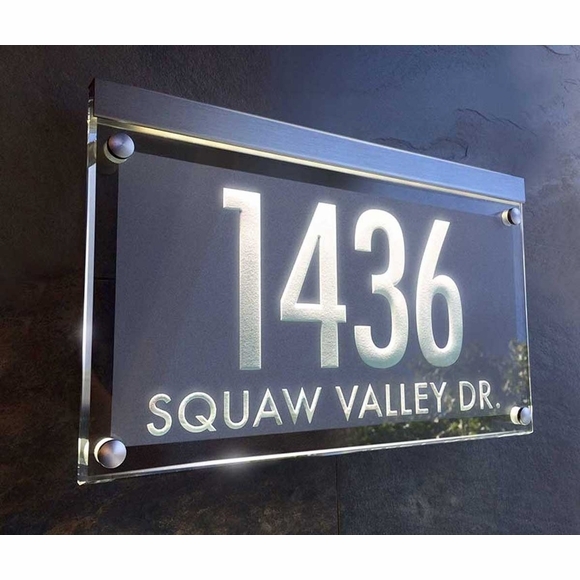 LED lighted and engraved crystal address plaque features 3/8" thick crystal with finely polished edges and an opaque backer panel. The address is engraved on the back side of the crystal panel, and the light bar illuminates the sign from the top edge. As a result, the address itself glows when the sign is illuminated. This sign is illuminated all the time when plugged in. 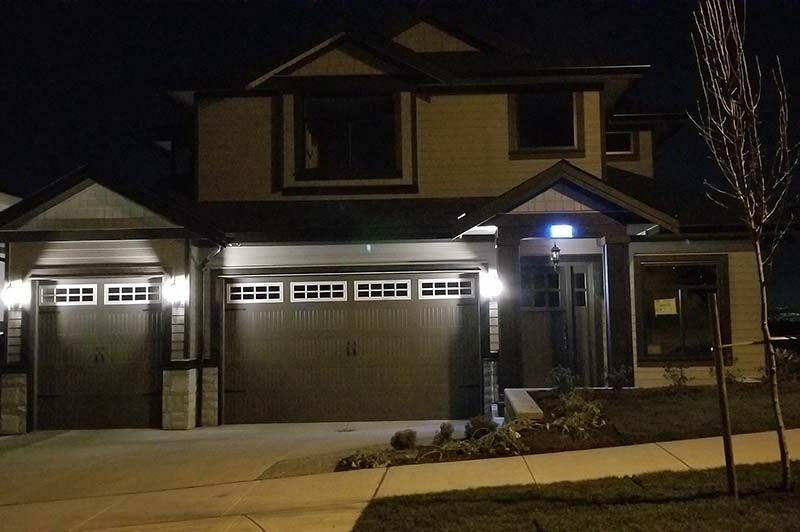 Note: some people use a simple timer to control when the sign is illuminated. The opaque backer panel is available in either silver or bronze color and is the same color as the hardware (i.e., mounting pins and light bar) that comes with the sign. Silver is shown in large image. 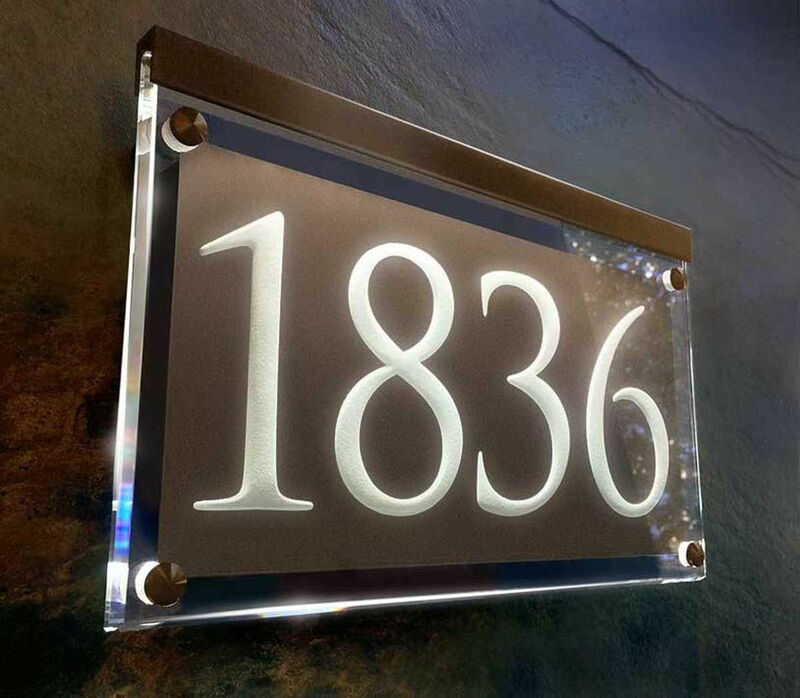 Bronze is shown in the small image with House number 1836. Mounting pins hold the plaque 1" off the wall. Two font styles: trajan and futura. The house number line holds up to four (4) 3.75" numbers . The street name line holds up to sixteen (16) 0.75" characters. If you want your sign to display just the house number, please leave the Street name input box empty. Note: A one-line sign holds up to four (4) 4.75" numbers. Includes power supply that plugs into a standard 110AC wall socket. Electrical specs: 2-amp power supply provides 12 volts DC. House number shown in large image above. 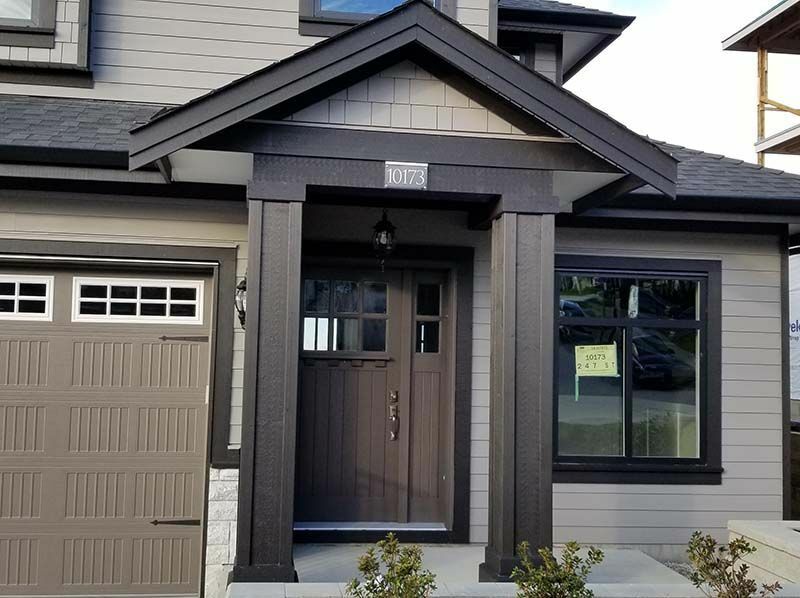 1436 SQUAW VALLEY DR.
February 2019 - Thank you to GC from British Columbia for sending in the photos of his newly installed plaque, third and forth small photos from left above (click on them to enlarge). He said "The lighted address light shows well from the street. Unfortunately, the picture doesn't do justice." The illuminated photo is from a phone which doesn't capture the clarity. In addition, this was done special with 5 numbers. 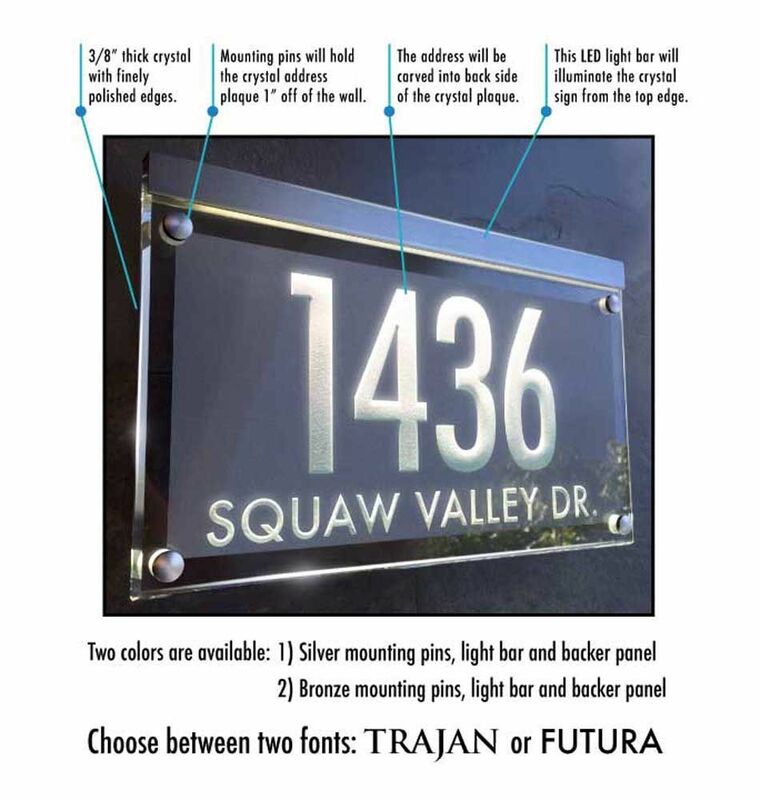 For 5 numbers, we can make a plaque with numbers only (no street name) and they will be approx. 3.5" high. To order leave the number field above blank and enter in comments on the order form that you would like a 5 number special and include the 5 numbers.